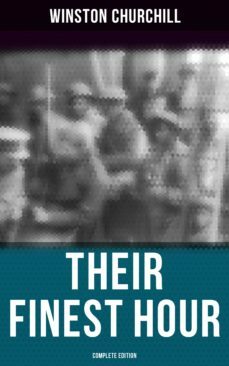 This eBook edition of "Their Finest Hour" has been formatted to the highest digital standards and adjusted for readability on all devices. Their Finest Hour covers the period in World War 2 after the fall of France when Britain stood alone, with victorious Germany and Italy engaged in mortal attack upon them, with Soviet Russia a hostile neutral actively aiding Hitler, and Japan an unknowable menace. Churchill labeled the "moral of the work" as follows: "In War: Resolution, In Defeat: Defiance, In Victory: Magnanimity, In Peace: Goodwill"